The secret to living is giving — but did you know that when you give money, you might have to pay additional tax on it? When you move cash from one party to another, whether it’s in the form of a monetary gift to a family member, a donation to charity, or paying for someone’s college education, you are opening yourself up to possible tax responsibilities. Fortunately, there are techniques you can employ to contribute or leave money for your family without being taxed every single time. Here are the ins and outs of giving without being double (or even triple!) taxed. Giving away money should be easy, right? But it’s not that simple. “Monetary gifts” are governed by a strict set of rules, which tell you how much you are allowed to give to your friends and loved ones — and within what timeframe. The rules also dictate how much of a “gift tax” you will have to pay on it. Even when it’s time to give, there’s no such thing as free money; somebody has to pay! Let’s say, hypothetically, you win the lottery. You’ve hit it big and are now a multi-millionaire. All your problems disappear, right? Being the generous person you are, you immediately think to share a piece of the pie with your family — but wait! Before you take another step, you need to understand the potential tax burden you are about to incur. The good news is that there IS a way to give those monetary gifts, without being taxed. As of 2015, gifts in the amount of $14,000 or less are transferable without incurring any gift tax. In other words, you can give up to $14,000 to any one or more persons in any given year and not be taxed for it. Anything exceeding that amount needs to be reported on form 709 and you have to pay a gift tax on it. But don’t fret; there is another option, in the form of a credit, called the lifetime or unified credit, to be specific. As of 2015, this credit allows you to give up to $5.43 million per person, which means you technically don’t need to pay any tax on the gifts you give until you reach that cap. However, you still have to report that amount on form 709 so that the gift amount can be deducted from your unified credit balance. 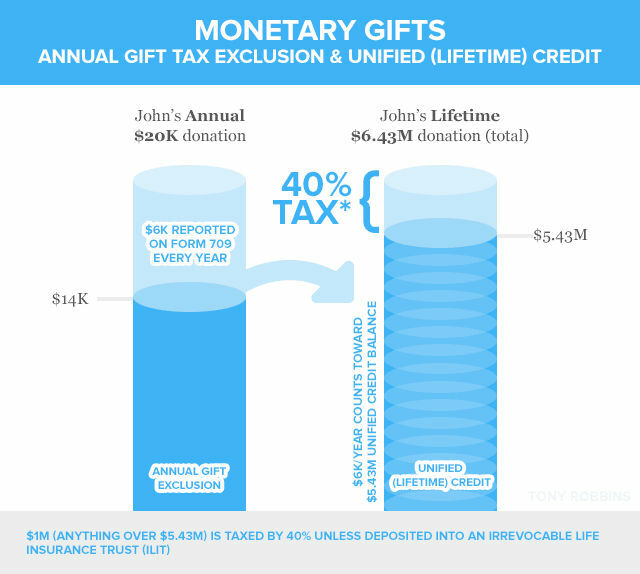 If you exceed the unified credit amount in your lifetime, the result will be very heavy taxation on any future gifts. For those who have a lot to give, that is a major consideration. But, there may be a solution for these givers as well. For those who give in large amounts exceeding the unified credit of $5.43 million, they can open an irrevocable life insurance trust, or ILIT.  This policy is technically owned by a trustee, so, in effect, you can transfer your annual gifts to the trust and eliminate your need to pay the gift tax. 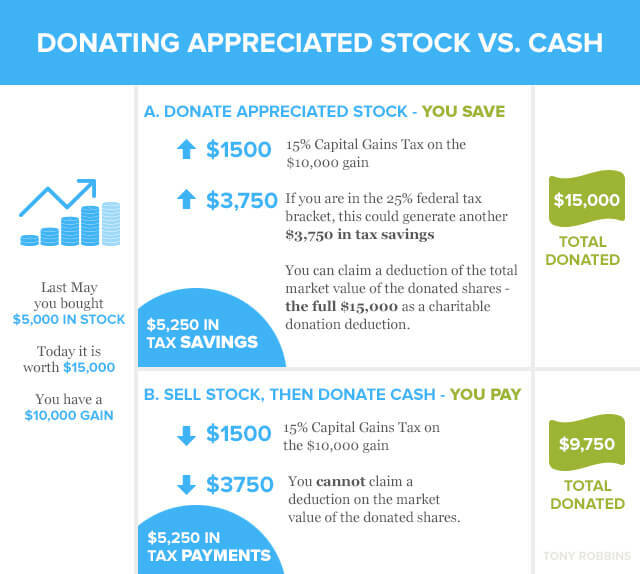 The example shown below illustrates what happens if John donates $20,000 a year and $6.43 million in his lifetime. Paying for a loved one’s college education is one of the greatest gifts you can give. But, as in any form of currency exchange, the government wants its cut, and that means you will be taxed. For many, the popular 529 college savings plan is the solution to that problem. 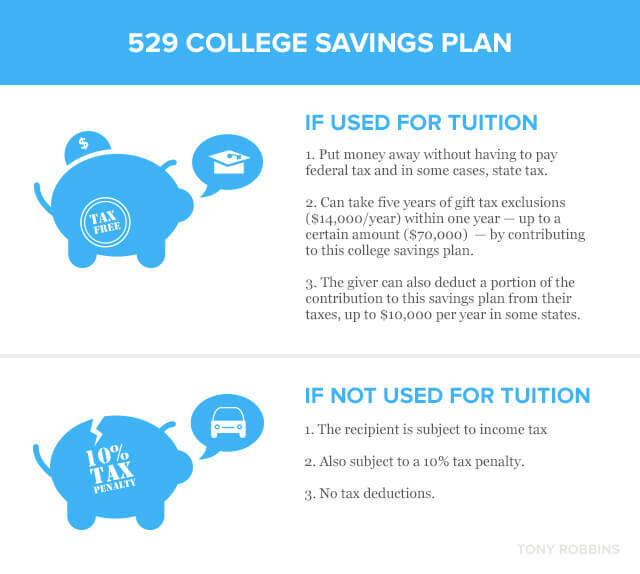 With the 529 college savings plan, you can put money away without having to pay federal tax and in some cases, state tax — as long as it’s used as tuition for a qualified educational institution. If not, you will be subject to income tax as well as a 10% tax penalty. There are other benefits to this savings plan as well. In the tax code, there is a provision that allows consumers to take five years of gift tax exclusions within one year — up to a certain amount — by contributing to this college savings plan. You can also deduct a portion of your contribution to this savings plan from your taxes, up to $10,000 per year in some states. It pays to donate to charity from your investment income, rather than cash. There is a tax strategy which allows you to give the maximum amount to the charity of your choice, without being taxed. There are two main benefits to this technique: if you donate income from an appreciated investment that you have owned for at least one year, you no longer need to pay capital gains tax. Secondly, you can still claim a charitable donation deduction for the entire market value of that appreciated stock. In the end, the charity would end up with a larger donation than they would have had you sold the stock and donated the cash instead. Plus, you get the full tax write-off and avoid taxation, so it’s a win-win situation.